Another winner from the family-owned and run company that makes these wonderfully engaging and entertaining spy-games for young tourists. The books are designed to accompany tourist visits, with hunts for art, architectural elements, clocks, etc. Points are warded by the “Case Officers” (the parents or guardian), to the “Future Special Agents” (the children). This book is for Florence, Italy, and it covers the city's top eight sights. The text is clear and engaging, never speaking down to the children. It is accompanied by lots of images to help the “Special Agents” with tasks. The tasks are actually lots of fun, and the children get to select codes names, decode messages, track down bonus sightings on their own. Lots of information about history and art is shared along the way in bite-sized chunks. I can't think of a better way to educate young tourists while keeping them happy and entertained during the sometimes tiring outings that make up a family vacation abroad. Jet-lag will be kept at bay with “Mission Florence”, and the “Case Officer” may even learn a few things too! 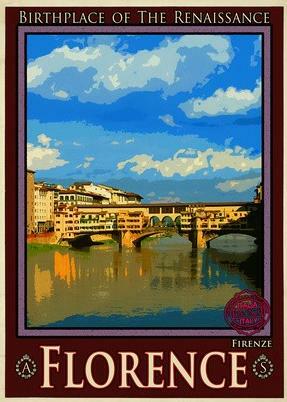 Headed to Florence with kids? Want to ensure your young explorers get the most out of their incredible opportunity to experience this Tuscan treasure? Then you've come to the right place! 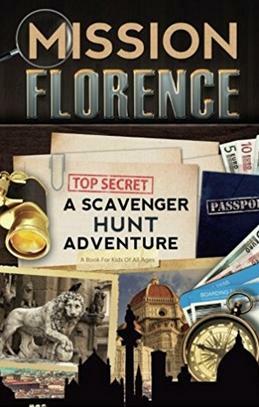 Mission Florence takes your young travelers through the famous sights of Florence, engaging them in an exciting scavenger hunt as you explore city landmarks together. Say “arrivederci” to a trip filled with the stress of keeping everyone entertained. Instead, say “buon giorno!” to a memorable family vacation. Imagine - your kids will be excited to sightsee (yes, even at museums!) as you discover the wonders of Florence as a family. Get Mission Florence today for your young jet-setters…and make sure it’s in their bag when they take off for Italy! 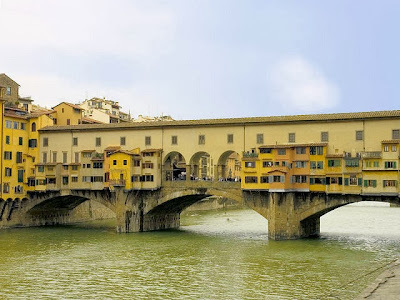 -Art Sleuths: They’ll search for clues in the treasures of the Uffizi , Accademia, and Bargello. -Culture Detectives: They’ll discover the fascinating stories behind landmarks like Santa Maria del Fiore and Piazza Signoria, and sample Italian treats like gelato and gourmet pizza. -Monument Investigators: They’ll uncover clues on the façade of the Palazzo Vecchio, the square of the towering Duomo, and the details of the Ponte Vecchio…and many more engaging activities. Experiencing this Renaissance wonder is an amazing opportunity for anyone, especially a young person. Make your kids’ trip one to remember. Get Mission Florence today for your young explorers…and be sure it’s in their suitcase when they set off for Italy! Their website offers more content, and a free e-book, so be sure to visit it! I've reviewed their Mission Rome book too.